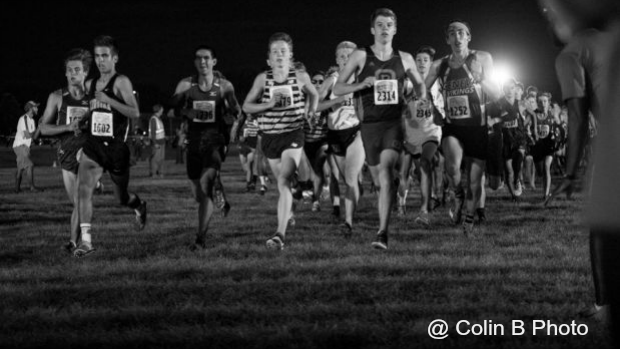 This race will be the stuff of legends as we see some of the top competition in both the state and the nation at the Naperville Twilight. Battling for the win should be seniors Thomas Shilgalis of Naperville Central, Rory Cavan of Glen Ellyn (Glenbard West), and Jack Roberts of Downers Grove North. The defending champion Shilgalis appears to be recovered from a sickness that hindered his success for much of the season. He hadn't broken 15:00 until last weekend at the Peoria High Invite. It was there that he finally got untracked and punished a great field with a state-leading 14:11.40. The returning All-American in the mile is ready to show consistency on the grass and if the weather is right, look for him to smash his meet record of 14:27. Someone who will challenge Shilgalis for his title will be Cavan. Cavan has been very quiet the past few weeks as he has not raced all out since his shocking win at the First To The Finish Invite when he ran a 14:24. The last time that Cavan competed was at the Kaneland Eddington Invite which he pack ran with his team for the first two miles. He ran a 15:31.80 to take home the win. Cavan is undefeated on the year with great wins over some of the deepest talent in the state. He has had two weeks since he last competed so, we will have to see if he shows any rust. Roberts will also be up there as he didn't finish far behind Cavan at the First To the Finish Invite. He lost a narrow decision to Cavan as he was leading the race with about 200 meters left, that's when Cavan decided to turn on the jets and beat Roberts. The following week Roberts took second place to Tommy Brady of Maine South at the Minooka Flight Invite. Roberts has been a little short in his attempts to beat top talent in the state, will the Twilight meet be different? Other runners that will be battling for a top five spot should be seniors Eddie Siuda of Downers Grove South, Ryan Kredell of Geneva, Stephen Moody of Glen Ellyn (Glenbard West), Chris Keeley and Michael Madiol of Naperville (Neuqua Valley). The team battle here will be amazing as Neuqua Valley, Downers Grove South, and Glenbard West all have great opportunities to walk out of here with the win. Neuqua Valley won the Locktoberfest Invite with a score of 41 points. They looked great on the hilly course as they had a tight pack. The pack running has been the calling card of the Wildcats this season as they don't have a true front-runner this season like in years past. 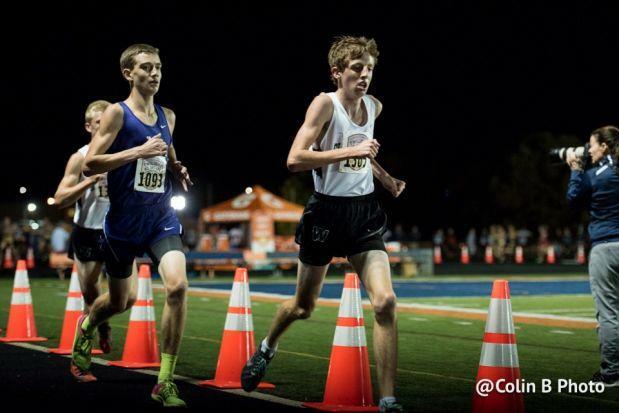 At Locktoberfest they ran top sophomores Nicholas Dovalovsky and Vasant Fong down on the Frosh/Soph level. Expect them to run their team at full force here as they are looking for a big confidence booster here. Downers Grove South had an amazing performance this past weekend at the Peoria High Invite winning it with a score of 109 points. Going into the meet no one expected them to win as all eyes were on Lyons Twp. to walk away with the win. The Mustangs had an excellent 1-5 split of 35 seconds and they had five guys sub 15:10. DGS looked to be the real deal this past weekend by showing they have a front-runner in Siuda and an excellent pack. This team has inserted itself into the trophy conversation and look to continue to improve here. It has been a while since Glenbard West has competed at full strength. We will have to see if they show any signs of rust here. The Hilltoppers were a top three team heading into the season, but since have fallen to the #8 slot due to not so great performances by Moody. If Moody can run the way he did last year it will be very hard to beat them.